The prolific Japanese filmmaker Takashi Miike is one of the most endlessly interesting directors working in gene cinema today. 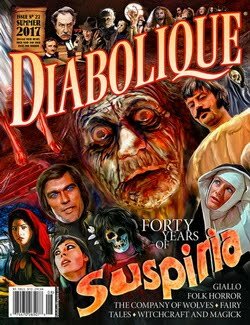 I find the majority of his work that caters for the art-house and extreme horror crowds to be engrossing and fascinating that while depicts excessive amounts of graphic violence and also explicit sexual perversion there is always a great sense of eccentric blacker than coal humour. It distracts from the seriousness of the proceedings making the audience laugh at the most inappropriate moments; we know we should not be taking joy in what we are watching and it makes us feel guilty for doing so but it also provides buffers giving us release from what are intense visceral sequences. Along with fellow contemporary filmmaker Quentin Tarantino, Miike is a master of juxtaposing violence with comedic elements and the unnerving and deeply disturbing yet strangely humorous at times ‘Lesson of the Evil’ - a psycho teacher and high school student drama - is a perfect example of this. 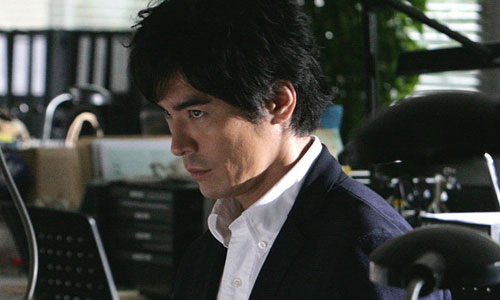 Seiji Hasumi (Hideaki Itô) is a handsome and charming teacher who oozes charisma. He is much loved by the students who often confide in him when they feel alone and down and feel nobody else will listen to them and he has high respect from his fellow staff… except one. Forced into a difficult position Seiji’s true colours come out when another teacher goes digging into his past triggering his psychosis. The psychopath sets in motion an elaborate plan to cover up his past that leads to his massacre of the students at the school prom. Takashi Miike is also the screenwriter here for only the fourth time in his long career adapting Yusuke Kishi’s 2010 novel of the same name. It is essentially a film of two halves - the first is a high school social study with some foreshadowing of the disaster to come and the second being that disaster with shotgun massacre shock cinema. So much so that if you knew nothing about it or its filmmaker, then you would be extremely shocked by the way events take a turn… so, sorry for spoiling that for you if you are not familiar with Miike’s body of work. It is very similar structurally to his 1999 masterpiece ‘Audition’ that is part romantic comedy and part fucked up grotesque nightmare. The director usually utilizes a slow burn and here it is no different. The fleshing out of the characters and focusing on serious issues such as bullying, sexual abuse etc. builds and immerses us in a realistic and compelling world of high school society and student and teacher relationships. The viewer gradually sees more and more of Seiji’s secret dark side hidden under his cool calm friendly exterior that the other characters in the story do not see and our subjective knowing of the impending doom for all of them makes this all the more a grim affair. We see the evil of his true cold-hearted self slowly start to rise to the surface witnessing how he deals with the other teacher digging into his past, incidents involving his students and we see his backstory through his flashbacks. Despite the adherence to characterization and subplots though, Takashi Miike’s screenplay feels very drawn out. It really could have done with a trimming of the fat as the meat and potatoes of it condensed in a tighter runtime of somewhere between 90 to 105 minutes instead of the unnecessary lengthy 129 minutes we have would have been just as or more so effective with far more leaner pacing leading up to Seiji’s shotgun crazy rampage. Being Overlong is a problem shared by most of Miike’s filmography. However, the audience’s patience is rewarded in the gruesome final act. 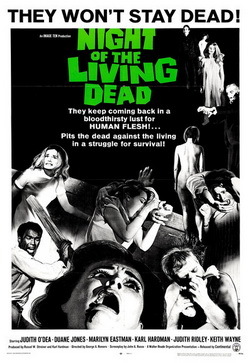 The blood-soaked climax is lengthy itself at 40 minutes but the pace is turned up considerably as the action of the massacre hurtles along with shotgun blast after shotgun blast and blood spraying everywhere as innocent teenagers are brutally murdered and there are nerve shredding moments of well-staged suspense and tension perfectly placed throughout. It is distressing stuff as we see the lives of these young people taken away so horrifically by the callous hands of a ruthless maniac who they once admired believing he was somebody he was not in the ultimate betrayal of trust. Despite the powerful matter of fact fashion this is presented the director skilfully employs that eccentric and dark tongue in cheek comedic touch to his execution at well-timed moments throughout the mayhem aided by the considerable acting talent of his lead Itô that induces mixed emotions of the aforementioned horror of it all and guilt ridden laughter. The usual stylistic flare in Takashi Miike’s work is on display here as well. It features gorgeous cinematography by Nobuyasu Kita providing fantastic shots and who served as a DP on some of Miike’s more recent work including more mainstream and lesser known fare - ‘Crows Zero II’ (2009), ‘13 Assassins’ (2010), ‘Hara-Kiri: Death of a Samurai’ (2011), ‘Ninja Kids!! !’ (2011), ‘For Love's Sake’ (2012), ‘Shield of Straw’ (2013), ‘The Mole Song: Undercover Agent Reiji’ (2013), ‘Over Your Dead Body’ (2014), ‘As the Gods Will’ (2014) and this year’s ‘The Lion Standing in the Wind’. This also features the filmmaker’s smart use of the song ‘Mack the Knife’ a.k.a. ‘The Threepenny Opera’ that serves as Seiji’s theme song. Big credit must also be given to the star Hideaki Itô as this is his show just as much having a huge hand in helping to make the difficult material work just as well as a twisted pitch black comedy in a thoroughly convincing performance. The cast is all around strong but it is hard to imagine the movie working at all without Itô’s chilling presence despite the immense talent of the man behind the camera. ‘Lesson of the Evil’ is testament to Takashi Miike’s visionary genius. A director who works so hard often churning out two to three films in a year and despite approaching his late 50s at the time of writing has yet to show any signs of slowing down or creative burn out. This is outrageous over the top shocking cinema powerfully realized by a man who is innovative and unpredictable in his art and is never afraid to push the envelope. Although it is far too long this is still overall an engaging watch and it might not be up there with the great auteur’s very finest work but it is ultimately very entertaining stuff that is intense and thrilling and it shows us just why Miike is one of Asia’s most exciting filmmakers.